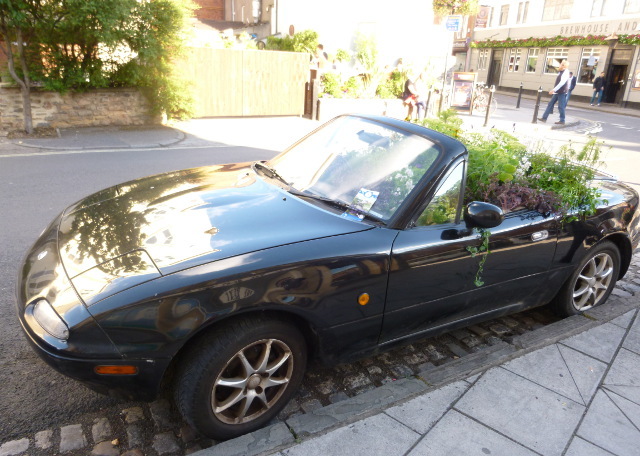 This Mazda MX-5 was recently parked in a smart part of Bristol, annoying locals by taking up a parking space, but charming passersby with its abundance of flowers. This week, imagine the person who created such a floral cornucopia. Why plant it in a car? What does the car mean to them? Where do they intend to go with it? Why?